The RhinoFit team is always looking to tailor our platform to become the most versatile and best gym management software available. We have recently updated our system to be more accommodating to the boxing world and its fighters. We are now a preferred management software for boxing gyms. 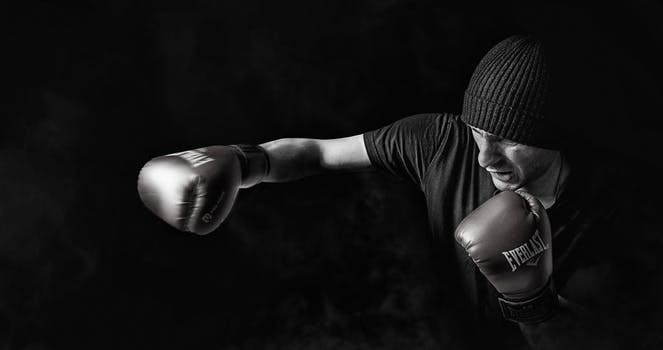 Spending less time running the administrative side of your business can give you more time for marketing your boxing business to knock out your competition and get more fighters to attend your gym. Our software features allow you to track if memberships are up to date; streamline a check-in process with our access tracking and sign-in kiosk features; allow you to sell memberships and products online as well as your gym; allow online registrations; track your boxers’ personal benchmarks; have digital waivers and health forms signed online as well as at your gym; manage customer relationships with text & email integrations; and various other benefits. Your boxers will also benefit from your business aligning itself with the RhinoFit boxing gym management software. With more spare time that you can give to your fighters, they will benefit from more opened slots for one-on-one sessions and greater general availability. Boxers may download the free mobile app available for both Apple and Android phones and tablets. With access to the RhinoFit mobile app, boxers can access your personalized messages to them, see their personal benchmarks or fighting record, and sign up for one-on-one sessions as well as classes (if you have them). RhinoFit supports its clients with useful features, frequent software updates, and quality customer service. We believe in an open communication with our gyms, making your needs a priority for our team. To access assistance in our boxing gym management software, you can view our FAQ, contact customer service at 866-858-0304, or view our Knowledge Base feature when logged into RhinoFit.